Here's what you need to know now for Friday, Nov. 17. Stocks were mostly lower on Friday, Nov. 17, pulling back from a rally in retail and tech a day earlier that sent the Dow Jones Industrial Average up by triple digits and pushed the Nasdaq to a new closing high. Though the overall retail industry finished the week on a high note, that didn't stop walls from closing in on Sears Holdings Corp. (SHLD just a little bit more. A full month after announcing that he will leave the board of directors, Sears' shareholder Bruce Berkowitz is further distancing himself from the declining retailer. This time, he's doing so with his wallet. The investor behind mutual fund Fairholme Capital Management LLC is dumping $1.78 million worth of shares, or 462,000 total, of the company, according to a Nov. 14 SEC filing. Berkowitz now owns a 22.57% stake in Sears, down from 27% in October. Fairholme is still Sears' largest holder behind CEO Eddie Lampert, who controls 30% of the company. While Sears insists that Berkowitz's decision was not the result of any disagreement with Sears on its policies or operations, the decision to sell more shares seemed to cause more unrest as Sears closed down more than 5% on Friday. The shares are down more than 50% year-to-date. As AT&T Inc. (T - Get Report) battles to officially consummate its merger with Time Warner Inc. (TWX , more is on the line than just spinning off CNN. If the company can't complete the deal it would be on the hook for close to $1 billion, which would include retiring debt tied to its potential buyout as well as interest payments on other debt. AT&T Chairman and CEO Randall Stephenson has expressed a willingness to mix it up with the DOJ, although the track record of companies succeeding in their fights haven't worked out so well in the past. Halliburton Co. (HAL - Get Report) , for instance, originally said it would fight an April 2016 DOJ suit against its $35 billion purchase of Baker Hughes Inc. (BHI . A month later the oilfield services company agreed to drop the purchase, paying a hefty termination fee and redeeming $2.5 billion of debt it issued to finance the deal at a premium, and wound up paying $41 million in fees and associated expenses. Back in 2011, AT&T did not fight the DOJ's lawsuit to block its $39 billion purchase of T-Mobile U.S. Inc. (TMUS - Get Report) . The telecom had to terminate a $20 billion credit agreement with a group of banks. A lot has been made over 21st Century Fox (FOXA over the past few days as Walt Disney Co. (DIS - Get Report) , Comcast Corp. (CMCSA - Get Report) and Verizon Communications Inc. (VZ - Get Report) have reportedly all expressed interest in acquiring the media company, which owns Fox News and Fox Film Studio among other properties. But the company hasn't always been the sprawling media conglomerate you and I know today. Founded by William Fox, 21st Century Fox traces its beginnings back to a small theater in New York City, which Fox would open in 1915. 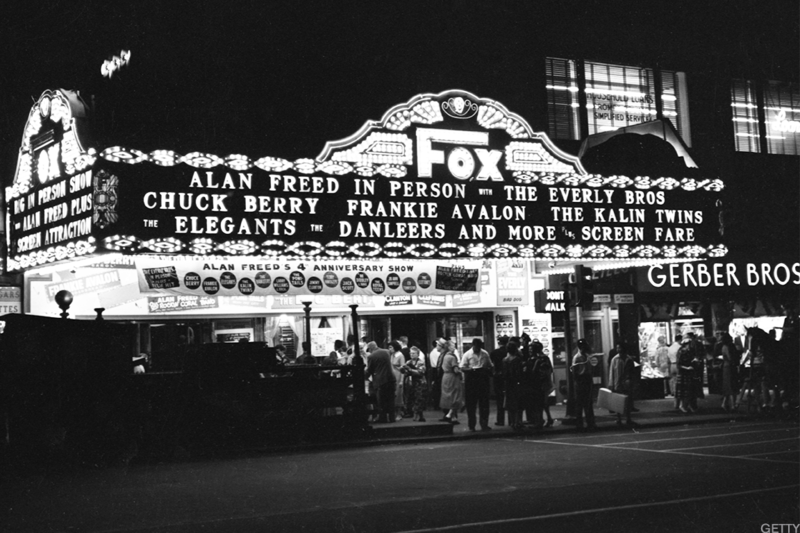 Eventually, Fox would open a number of theaters across the country, including The Brooklyn Fox Theatre, pictured above. The company would eventually begin producing its own films and in the mid-1930s would merge with another film company, 20th Century Pictures, and move its headquarters to Hollywood. Today, the company could be on the verge of another blockbuster deal, something the Fox name is no stranger to. Are Zombie Accounts Putting Your Personal Data at Risk?